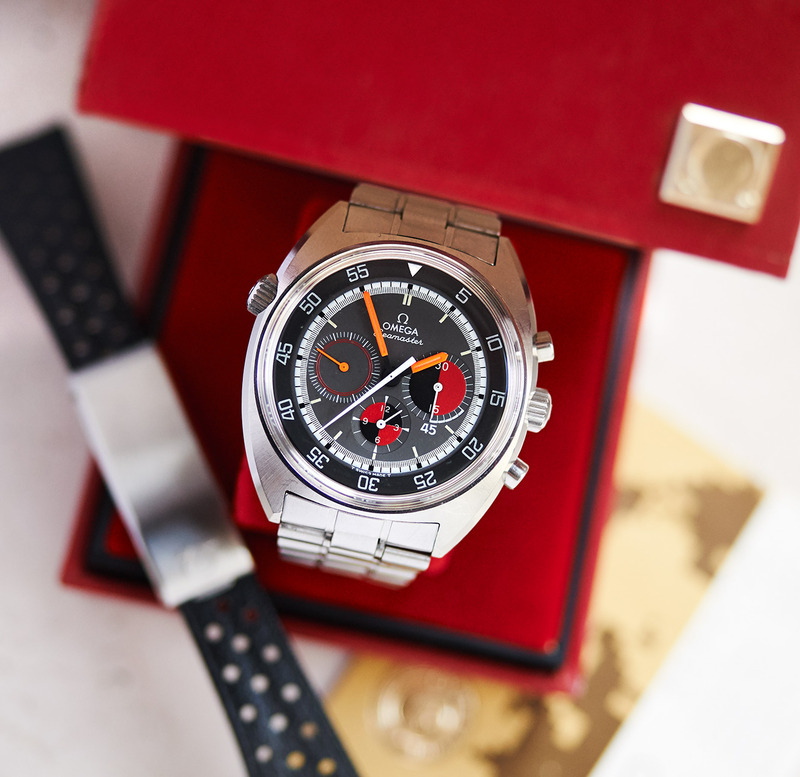 This Chronograph (Ref. 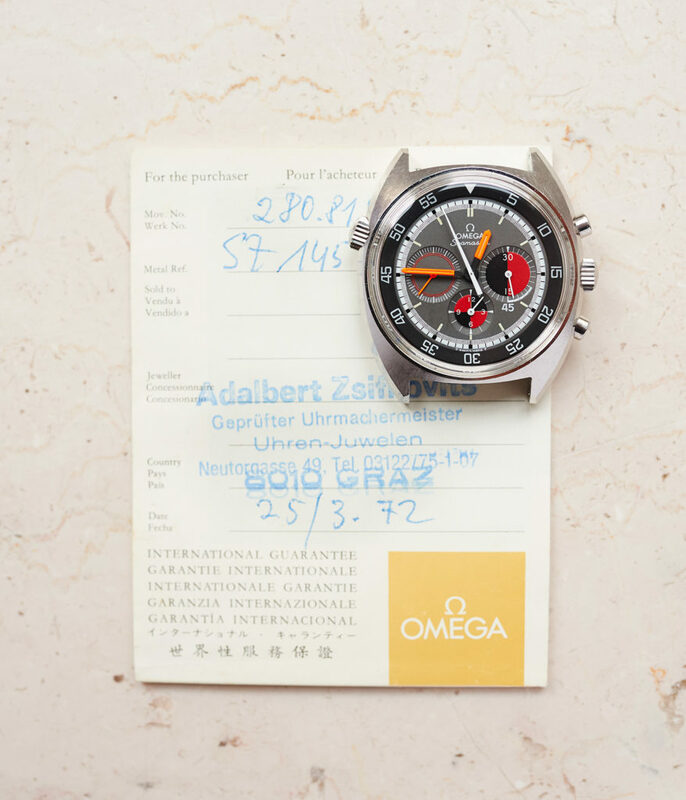 145.019) from 1972 is absolutely authentic in every single part and comes in the full configuration as it was sold 45 years ago in Graz/Austria. 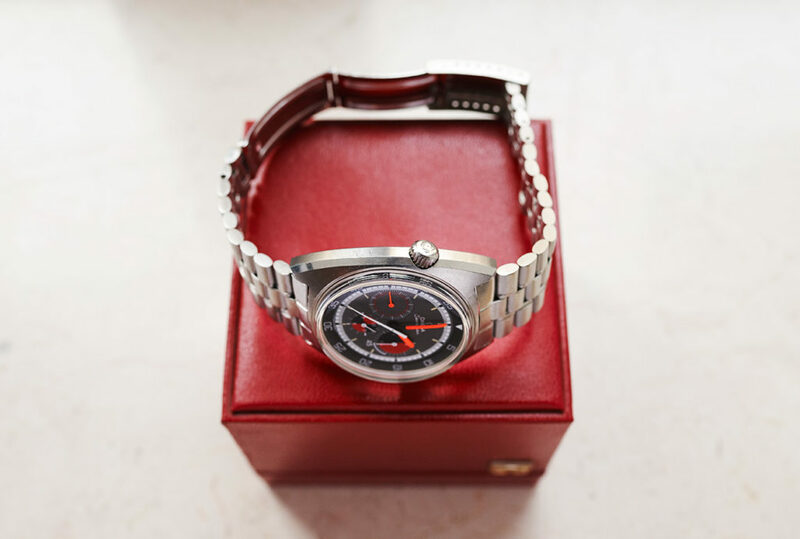 The set includes the watch, the 1117 steelbracelet, a second original corfamstrap with Omega steelclasp, the box, the guarantee booklett signed and stamped by the Austrian retailer in 1972. 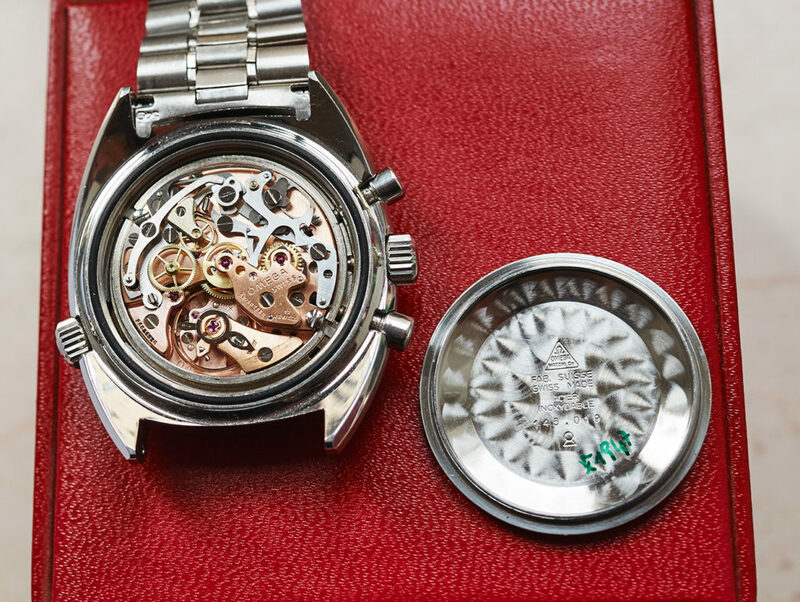 The watch itself has an unpolished supersharp case with every numbers and engravings in the caseback clearly readable. 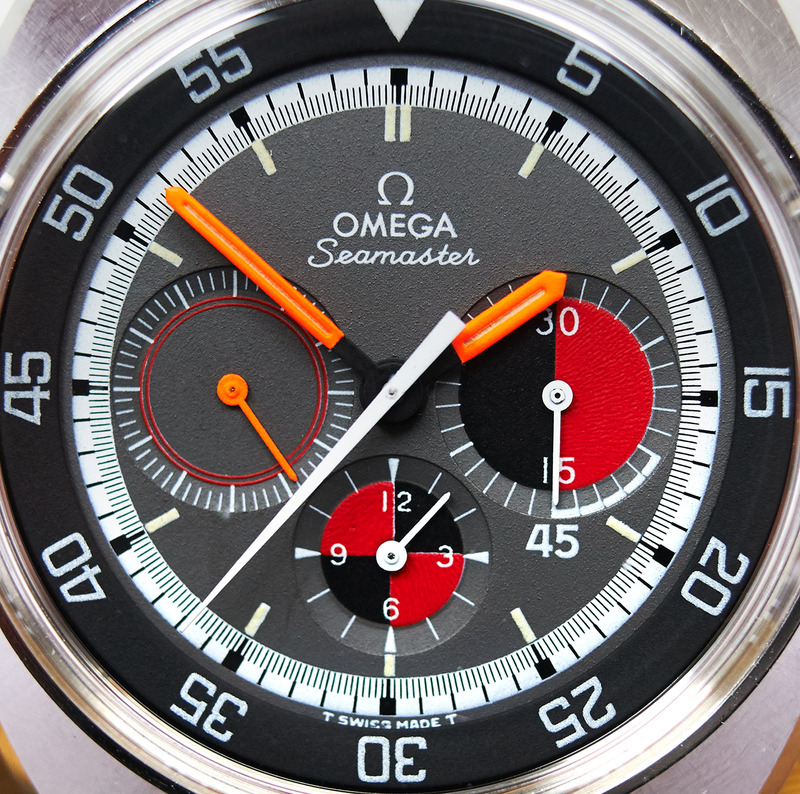 Dial and hands can only be rated with a condition of 100%. 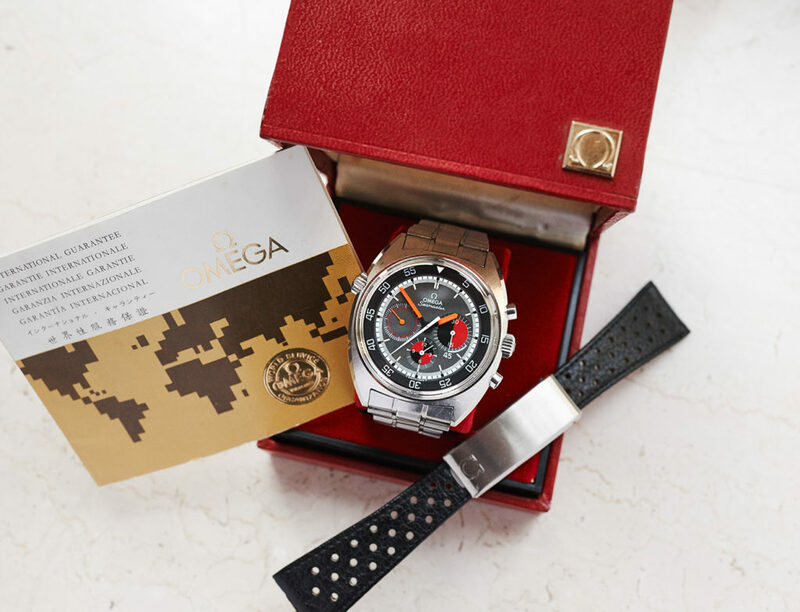 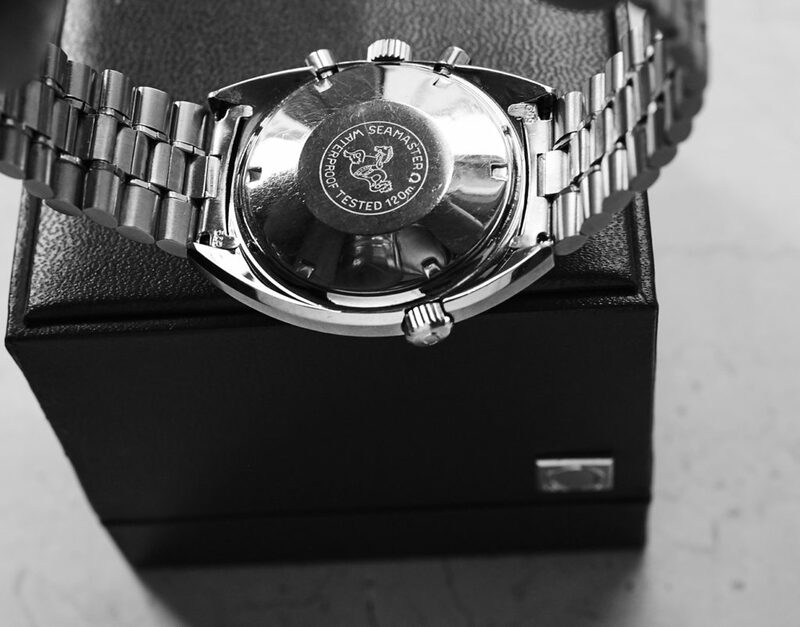 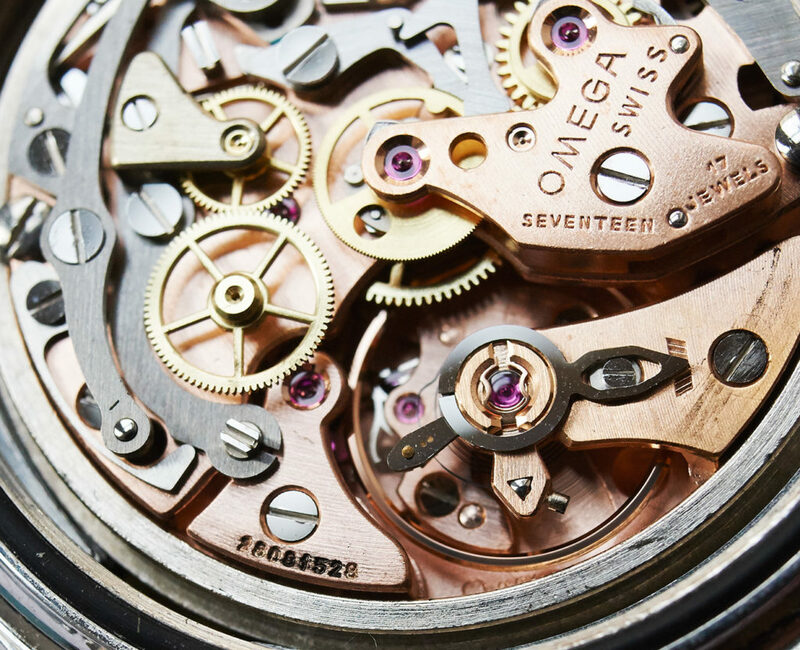 The Omega caliber 861 has recently received a full revision by the former owner who was the son of the original owner that purchased the watch in 1972 and kept this package well conservated for decades.